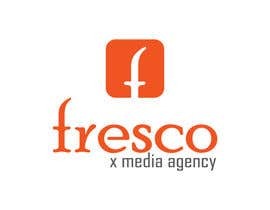 Fresco Cross Media Agency is an advertising agency in Italy. 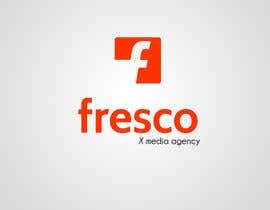 As we belive in Freelancer system we'd like to commit the new redisgn logo to one of you guys. We'd like to choose the best creativity solution you will provide us. Colours if it possible should remain orange - grey - white...but we will accept the best idea. We will be glad if you can propouse us an icon to associate at the name too. i attached here the actual logo. Thank you in advance to everybody. Sir ! I was send all original files to you please accept that all. I'm waiting. Thank you. Sir this contest over or not. I'm waiting on your positive feedback. & already have all vector files on my PC. I'm waiting. Thank you & Good luck! Sir I'm waiting for your positive decision on #59 I have dream on it. try to think. it will be hit your agency. please look that icon. it memorable one. Thank you. hi guys! I want to thanks all the participants because the proposals that u have made are really nice. It 'was very difficult to make decisions, but anyway i will choose between pixelka, janithnishsh and bm1org. thanks buddy! for your comment. Dear Sir! we are waiting for your decision. Thank you & Good luck! Sir I added 4 options on here. Thank you. #59 , #61, #65 all for you Sir! but I know decision is yours. anyway Good luck! Hello again, I set up a combo for you to choose, #49 and #50 . I put an Icon example on #51 and need your approval, if you like that style of icon, I'll play around with font you choose. Please let me know which style of font you like most by giving me the number beside it, and I'll upload it in a new one to visualize what you chose. Thanks and sorry for making you follow all these instructions :P , but its equals most efficient way to get it right without uploading so many models. Hello, need your feedback on #11 , #12 , and #13 . Like the fonts? colors? You are right, check out #35 and #36 , looks good for media businesses, clean simple sharp and modern. Would you like more work on the icon? Hi, Solo2go. I like your logo. But in my mind your proposition is too close to food and beverage style.